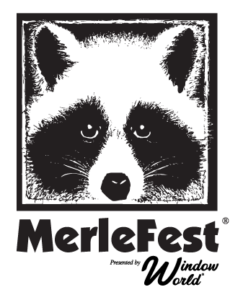 Ahhhhh, April…..I look forward to April every year, because…..MERLEFEST! This will be my 15th year making the pilgrimage to Merlefest in Wilkesboro, NC, and just like every year, I am counting the hours until I roll into the campground, get the campsite set up and get the festival times rolling. My sister and I have claimed this weekend as our own for the past few years- we get to escape family responsibilities (5 kids between the 2 of us) for a few days, and it is glorious. Merlefest began in 1988 as a tribute to Merle Watson, Doc Watson’s son, who died in a farm tractor accident. That first year, the musicians volunteered their talent, and played on 2 flatbed trailers that were rigged into a stage. The first year was a success. The festival has grown over the years to more than 75,000 attendees. Now, that sounds like a lot of people. That is a lot of people. However, there are 13 stages spread out across the campus of Wilkes Community College, and the festival is very well-organized. I typically prefer more intimate music experiences, but Merlefest always feels like home. Everyone is so kind, and glad to be there. So many of the greats have graced the stages of Merlefest: Earl Scruggs, Bill Monroe, Ralph Stanley, John Hartford, and of course, Doc himself. The festival presents “traditional plus” styles of music. You can find bluegrass, blues, country, old-time, rock, celtic, americana- all kinds of roots musicians play Merlefest. Headliners over the years have included Dolly Parton (one of my personal faves), Willie Nelson, John Prine, Levon Helm, Bruce Hornsby, Loretta Lynn, and many, many more. Many up and coming acts are showcased also, and it is always a treat to discover a new act. With over 100 artists on the bill, there is sure to be something for everyone. I often have a hard time deciding what to see! On Friday, you can catch the songwriter contest, chaired by Mr. Americana, Jim Lauderdale. This contest has helped fuel the careers of artists such as Gillian Welch and Tift Merritt. Every year on Saturday afternoon, The Waybacks coordinate the Hillside Album Hour. They choose a classic album and play it in its entirety on the Hillside stage, with help from many special guests. They don’t announce what they are covering ahead of time, but give fans enigmatic clues on their facebook page to get people guessing. They have covered albums such as Eat a Peach, After the Flood and Abbey Road. Saturday night means the Midnight Jam. This is a great show that requires a lot of stamina and enthusiasm, as it happens in the indoor seated auditorium, and dancing in the aisles is not very well tolerated. I don’t know about you, but I need to be moving (or picking) in order to stay awake past midnight! I have gone to the midnight jam several times over the years, and inevitably, no matter how enthusiastic/amazing the music on the stage, I spot people sleeping in their seats. The music is spectacular, as many musicians and bands that don’t normally play together join on stage, but make sure to have some coffee (or tequila) beforehand. There are many food vendors from the community and many lovely artisans selling wares, as well as a great instrument tent. I loved strolling through last year to find Alison Brown and Cathy Fink jamming out on Old Joe Clark--for at least 10 minutes. The weather can be finicky. It rains at least a little every year. Some years it rains A LOT. Preparation is key. Pitch your tents accordingly! We are amazed when a canopy makes it through a whole weekend intact:) Mostly it’s not raining and it is that beautiful spring weather we are so looking forward to. This year I am stoked to see some lovely Ladies on the stages: MacArthur Genius Grant Recipient Rhiannon Giddens, Alison Brown, Lindsay Lou, Abigail Washburn, Cathy Fink and Marcy Marxer just to name a few. Also on my must-see list are The Kruger Brothers, The Po’ Ramblin Boys, Robin and Linda Williams, Steep Canyon Rangers with Steve Martin, Buddy Miller and Jim Lauderdale, The Cleverlys (hilarious), Jerry Douglas and Tommy Emmanuel, Frank Solivan and Dirty Kitchen, Bryan Sutton, and on and on. I may just have to clone myself to catch all of these shows. So, see, the festival is amazing. BUT, my *most* favorite part of Merlefest is the campground hangs. I’ve camped at this sweet family owned campground, Moravian Falls Campground, most of the 15 years I’ve been to the festival. There’s a beautiful waterfall and stream, It’s not too crowded, there are bathrooms and showers, and the jamming is great. The defunct swimming pool with a slide gives it some character. There is also a fishing pond, and the office has coffee, ice and biscuits for sale- great when you’re in a pinch. Also exciting on the horizon is The 1st Nashville Handsome Ladies Sadie Hawkins Pickin’ Camp Out on April 14th. What a great Merlefest warm-up and opportunity to dust off the camping equipment! Do you have festival plans this year? What are your favorites? If you’re also going to Merlefest, get in touch and LET”S PICK!!! Need to find a Bluegrass Festival? We're lucky to have so many quality festivals here, west of the Mississippi. Here is a compiled list of festivals in nearby states. *Handsome Ladies favorites. The NCBS' Good Old Fashioned Festival! Whoa! This is happening before you know it! We love seeing Handsome Ladies on the stages of so many festivals!